In a recent interview for a blog tour, I was asked if there was were any love scenes in The Reengineers, and if any of my forthcoming books had romance in them. 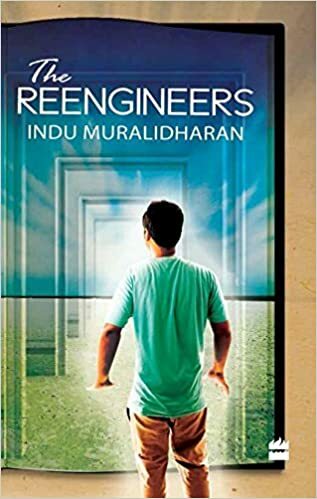 The premise of The Reengineers is the realisation that one has the freedom to live on one’s own terms. This awareness of freedom, the feeling of being in control of your life, is the foremost need of any human being. Everything else, including love, comes only next to it. However, this being the coming of age story of a fifteen-year-old boy, there are references to love and romance. Here is a short excerpt. A song about a date with a girl who was as charming as a flowering tree in bloom, on a night so beautiful that it appeared to blush. About how he wished that the night would go on and on. Joy was shirtless, purely out of chivalry. Helen wore his shirt with a grace that made her unrecognizable as the vamp of so many sizzling dances. With wet hair hanging in curls about her face, she exuded the innocence of the girl-next-door who looked up trustingly at the handsome hero. There was no trace of lust on Joy’s face. He was the decent young man who sang tenderly to his girl that the night should never make way for the dawn. And then escorted her safely home afterwards. They hardly came within two feet of each other, but from the way they looked and smiled and sang to each other, first love flowed out of the TV and swirled about, bringing spring into Aunt Kalyani’s living room. It continued to permeate the room even after the song was over and Joy had presumably dropped Helen home. But, this time, the sweetness arose from Kailash and Charu. Even without looking at them, one could sense how aware they were of each other’s presence even as they talked to other people. A rude voice in my head started chiding me, telling me I wasn’t old enough to think of such things. I ignored it and it shut up immediately. How would it feel to be married, I wondered. What if I got married to—I stopped my thoughts there. I had many exams to pass before that. Besides, I wanted to sing a few songs to a girl first, a real girl with whom I would have a real relationship. At that moment, I became aware of the nature of my feelings for Sonia. It was her boldness that had fascinated me and now that I could stand up and speak for myself, the halo around her vanished. What remained was a mild attraction that I saw for what it was: a simple teenage crush. I thought of the summer that lay ahead, of the farewell party for the seniors. We would present them with a giant card with tearful bears holding up a banner that said, ‘Missing you guys will be too hard to bear’. On that day, when the festive confetti flying around made little chinks in the invisible walls that separated the seniors from the juniors, I would talk to Sonia. I knew that nothing would come out of it, but I would still talk to her. I might tell her that throw ball matches would never be the same again. I might get her autograph. I might never contact her. I might forget her. I might remember her. I might meet her after many years. But I would talk to her on one of those long, summer afternoons before she left school. The thought made me smile. Here is a link to the song that is referred to in the excerpt.The comfort level between the lovers is endearing, especially as the film implies that the intimacy in their relationship is limited to holding hands and innocent dates like the ones shown in the song. The gentleness of the interactions between them is not something one gets to see in the movies anymore.